It is completely sure that Microsoft is set to launch tremendously new software update for WP7 somewhere later this year with no actual confirmed date. 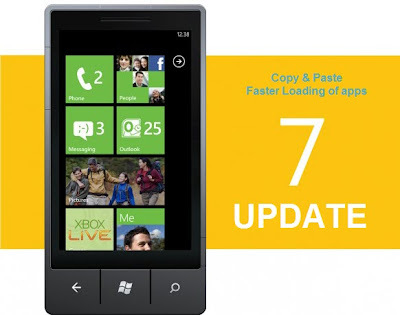 The update for WP7 will substantially improve the existing performance and it is sure that the copy and paste feature will be included. The other promising features of this update are lower loading times for third-party apps which are a result due to some modifications in the memory management. There is no other specificity involved as far as the reports are confirmed but only that the apps will get more memory for better and faster performance.